Music reportage. Discovering the best musicians of the New York City Subway. New York City subway system is one of the world’s largest. Its stations, corridors and trains are full of talented artists, particularly musicians. We see them, we listen to them, sometimes we even give them money. But who are they? What are their dreams, their expectations? 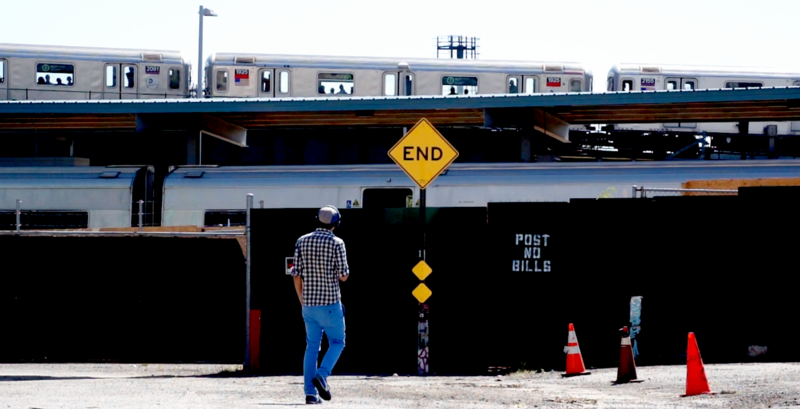 Via a Facebook page, Twitter, Instagram, and Vimeo, Colectivo Piloto wants to give these artists the renown they deserve in the hope of making them more familiar to us; everyday straphangers. In a long term, “Music on the Subway” turns into an extended chronicle of the NYC subways hidden talents. If you are one of them, Colectivo Piloto wants to hear from you. This Live DJ&Film Set I did at Cantina Royal, Williamsburg, embodies the artistic relationship between Detroit, Berlin, and New York through a compilation of documentaries and films produced during the Cold War. The score includes Techno, Progressive, and House. I compiled classic films such as Bullit of Peter Yates (1968), the exceptional film documentary Detroit Riot (1967), footage of Berlin after the SWW, TV Commercials and music videos. ELECTROFILMIKA Detroit · Berlin · New York, Pablo Herrera (Full Session) at Cantina Royal NYC from Colectivo Piloto. For this performance I have compiled more than 100 films mixed with music of Art Blakey, DJ Sideral, Junior Boys, Garth Linton, Booka Shade, Max Cooper, Danny Howells, Aril Brikha, and Michael Mayer. I include my best celebrations scenes ever, such as Breakfast at Tiffany’s (1961), A Clockwork Orange (1971), 2001- A Space Odyssey (1968), Fellini’s 8 ½ (1963), Mulholland Drive (2001), The Shining (1980), American Beauty (1999), Bande a Part (1964), Blow Up (1966), Sleeper (1973), Scarface (1983), An American in Paris (1951), among others classics film . ELECTROFILMIKA Celebration Party, Pablo Herrera (Full Session Live) LA SALA at Cantina Royal NYC from Colectivo Piloto. THX 1138 is the first feature film of George Lucas released in 1971. This film is inspired by Aldous Huxley’s movie, The Machine Stops, and by George Orwell’s novel 1984 and is set in an underground dystopia. The story centers around a man and a woman who rebel against their rigidly controlled society. ELECTROFILMIKA THX 1138 (Live) score by Pablo Herrera from Colectivo Piloto. Film Score of Metropolis, the masterpiece of German expressionism filmed by Fritz Lang in 1927, and set in a futuristic urban dystopia. The set includes tracks of Moderat, Paul Kalkbrenner, Gui Boratto, among other renowned musicians from the German record label based in Cologne: Kompakt Records. ELECTROFILMIKA Metropolis, Pablo Herrera (Full Session Live) LA SALA at Cantina Royal NYC from Colectivo Piloto.